Just a small sampling of the ingenious work by Mark Langan. Since 2004, Mark has focused his creative skills on using reclaimed card, using the resulting corrugated sheets to form these unique art pieces. 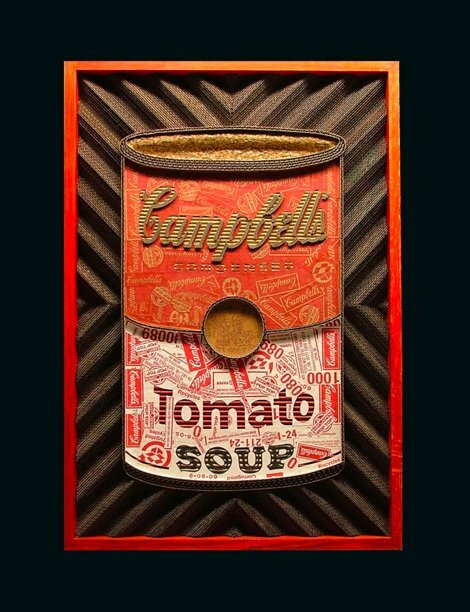 A well as being commissioned by companies like Kelloggs to immortalize their brand marks and corportate logos in corrugated cardboard, Mark creates other corrugated masterpieces, which you can view in his Art Gallery.